Third in the series, Rain, includes several challenges. Wanting a 3-dimensional design using the series original fractal wheels and wanting to develop techniques for curved foundation piecing, the design answer was umbrellas. 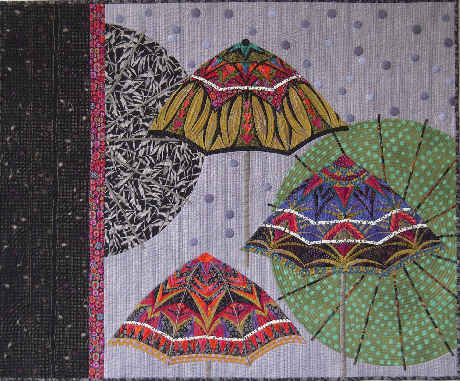 Hand quilting without a frame enhances the illusion of rain. 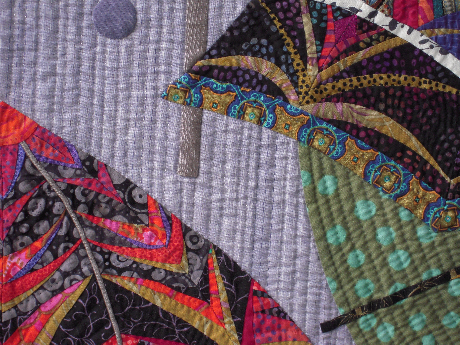 2014 "Quilts: A World of Beauty" Traveling Exhibit. Quilts Inc.